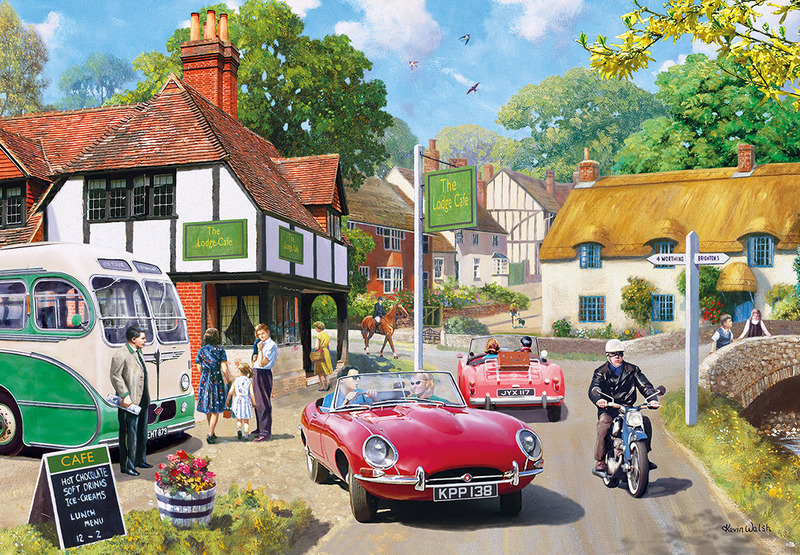 The Great British countryside is bursting with life throughout the year. 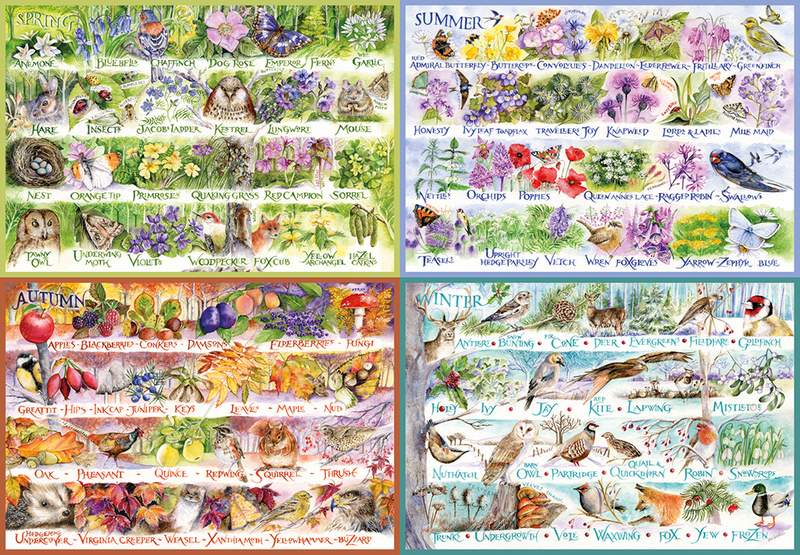 Val Goldfinch presents an alphabet full of flora and fauna for each of the seasons. 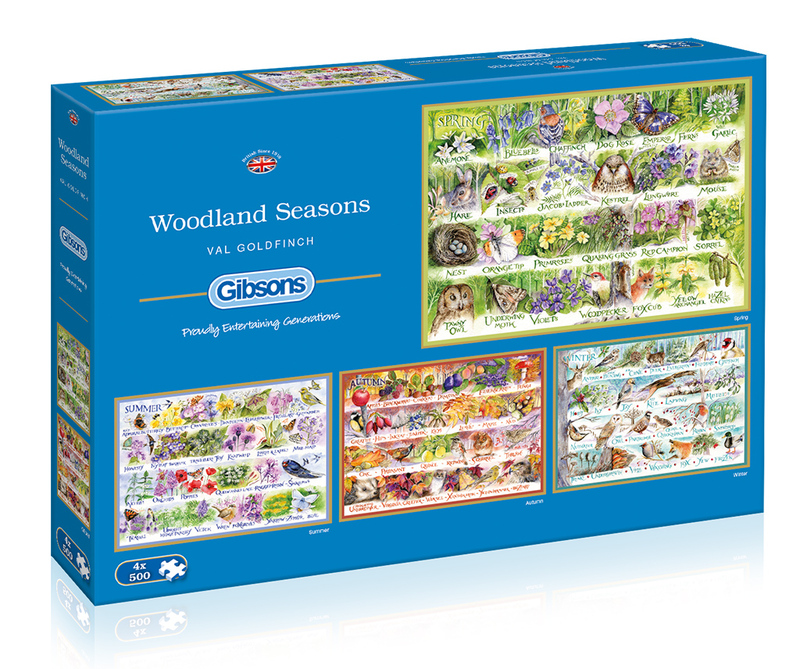 As with all Gibsons jigsaws, this beautifully illustrated and challenging 2000 piece jigsaw is made from the highest quality 100% recycled board and therefore a pleasure to work with again and again. 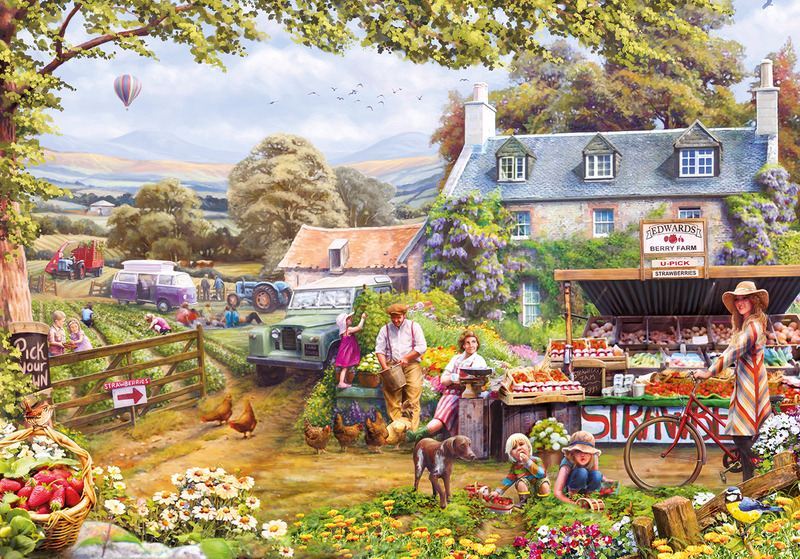 High quality 2000 piece jigsaw puzzle. Puzzle size 98x68cm when complete. Val Goldfinch trained as a graphic designer at Nene College, Northampton, in the days of marker pens, painting, drawing and hand lettering, just before computers took over! The skills Val learned have proved invaluable for creating complicated and intricate paintings in watercolour and gouache. She paints a variety of subjects, including birds, buildings and scenery and her designs have featured on greetings cards, mugs, trays, ceramics and art prints.